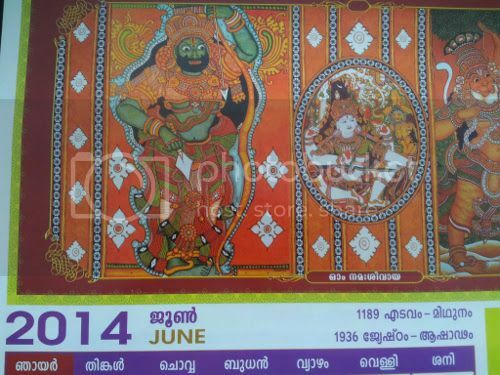 This is the photo of the Malayalam calendar hanging in my house and as per that calendar, the year is 1189 which means that something important happened in 825 CE. Wikipedia mentions that the important event was the establishment of a Nestorian colony. Maddy has written about various other events and that is covered in A Survey of Kerala History by A Sreedhara Menon as well. The book Perumals of Kerala by Prof. M.G.S. Narayanan deals with these issues and comes up with an answer while refuting few others. The problem with reginal years or the establishment of a temple is that the events were local and that makes it hard for people outside the region to make sense of the date. But sometimes a local event can achieve such significance that it can live on for a thousand years and one such event happened in the southern part of Kerala. Around the 8th century, there existed the region between Tiruvalla and Nagercoil was known as Vēṇāṭ with its capital at Vizhinjam. In the 8th century, the Pandyans made an expansionist move and to counter that the Cēra forces moved to the south. They took overVēṇāṭ, absorbed it into the Cēra kingdom and established Kollam as the capital. This was an important victory for the Cēra’s with political and economic consequences. Kollam was a harbor city and remained important from the 9th to the 12th centuries and it was from here that the Chinese trade really took off. Eventually that trade would move up to Cochin and then Calicut. Maro Polo visited Kollam in 1294, Jordan Catalani in 1330 and Ibn Batuta in 1343 an all of them mentioned the Chinese presence there. 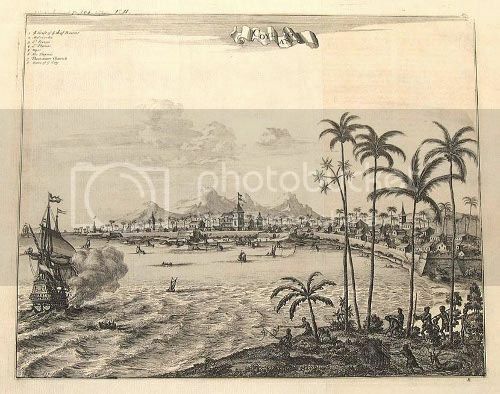 As Kollam bought in prosperity, its establishment became significant and what started out as a local era, was used in Vēṇāṭand eventually the whole of Kerala, though the port of Kollam became less important to Calicut eventually. There are two inscriptions from this period, found in Kollam, which mention the phrase “Kollam tonri” implying that the event happened after the inauguration of Kollam. Some historians have suggested — based on letters by the Nestorian Patriarch of Babylon — that the city of Kollam existed before 825 CE. Narayanan writes that this is based on an arbitrary and erroneous reading of Latin. Another suggestion is that “Koulam Male” was mentioned in Cosmas Indicopleustes by a 6th century Alexandrian merchant. Narayanan thinks that this refers to Kolam or Kolapattanam in North Kerala. Ma Huan wrote that the Tang dynasty knew about Kollam, but it may be about knowledge closer to the 9th century. The Nestorian date is related to the settlement of Christian traders under the leadership of Mar Sapir Iso and that has been advanced by historians. According to them, if modern India could adopt Christian era, then it was possible a millennium back as well. Narayanan dismisses that argument; according to him, the establishment of Kollam as an important city came first followed by the establishment of the Nestorian colony. Narayanan writes that this incident would not have been universally acceptable compared to the founding of the city. He also dismisses the theories that it was associated with the departure of Cheraman Perumal to Mecca or with Shankaracharya. 6 Responses to What happened in 825 CE in Kerala? It is unfortunate that Kerala historians don’t go for holistic approach. The tall claims with regard to ports of Kerala have no mention during that coast in the rest of kingdoms of Deccan from Satavahanas to Pallavas. During the Pallava period especially during later Pallavas followed by early Cholas the dominant merchant guilds were AIHOLE AINOORUVAR(NADESITHISAI AYIRATHU NOORUVAR OF LATER PERIOD)/MANIGRAMATHAR ERI VEERA PATTINAM etc., For the first during the Nandivarman III reign we find mention about another merchant group ANJUVANNAM which became powerful in Kerala later times. NadiVarman III reign was during 800AD to 850AD though he reigned for a period between 25 years to 35 years only. Thus probably the Nestorian merchant guild would have been ANJUVANNAM. The port of Kollam was repeatedly mentioned from RAJRAJA I period onwards only. The rise of Rajaraja I was not territorial aggression but stopping influence of Arab Mercantile imperialsim. That is why Cholas sacked Kollam Kandalur Vizhijam repeatedly and Maldives was bone of contention between Cholas Srilankans and Arabs. Probably the east coast merchant guilds would have used Mahabalipuram or ports in Jaffna till Kollam became famous during reign of Rajaraja I onwards. Actually a large number of Malayalees shifted to Cholamandalam during this period. The Paluvettaraiyars/Sambuvaraiyars/ all hailed from Chera kingdom and there was large Malayalee Brahmin settlement in and around Trichy known as MAZHA NADU. Even now a number of Palkghat Brahmins trace their origin to Anbil near Lalgudi/Srirangam (Refer Dr.R.Nagaswaky article on Palghat Agraharam). Even now the meaning of Kollam is puzzling. The Kollam era became prominent when during Amir Khusroo invasion the Chera king Ravivarman Kulasekharan defeated him at Kanchipuram and though his reign was short yet in the absence of confusion and social disruption people voluntarily adopted caleder of Chera kings. From the period of Ravivarman Kulasekharan Kollam era became popular in Pandiyanadu adjoining Kerala. Kerala historians should shed their bias on anti Tamilism and analyse holistically with eviences in Tamilnadu during the contemporary times. It has to be admitted from the Chola inscriptions that Cholas settled a large number of MALNADU BRAHMINS in Cholanadu and there was no evidence that such Brahmins adopted a different culture from Tamil speaking Brahmins. For kind information the bitter opponents of Cholas the Chalukya king Vikramaditya VI of Kalyan settled a large number of Brahmins from Dramida and most of his inscriptions bear close resemblance to Cholas deviating from Chalukyan inscriptions in general emphasising the fact even VIKRAMADITYA VI OF KALYAN could not ignore influence of Tamil speaking Brahmins. Upto Chola times and to a lesser extent during Vijayanagar times Tamil co-existed peacefully with other languages in the entire South India and wars were restricted only to kings which did never affect either AIHOLE MERCHANTS OR MANIGRAMATHAR. Thus Kerala should look eastwards to trace its origin. Can you please share where you bought that calendar from? Thanks. One Cool Dude, JK ! Made my day. Sorry for the amerikanisms. The Sanskritic style and the Kangress-style vandhi mAgadha mimicry are sublime and ridiculous at the same time !